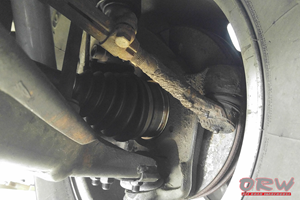 Ball joints have been a staple part of vehicles for as long as vehicles have been around. They are commonly used as a component of the steering or suspension mechanism as they allow these pieces to achieve the multidirectional motion they require to properly operate. The ball joint in essence is a ball and socket, its application and highly efficient design has allowed it to remain largely unchanged since its introduction. A simple plastic or urethane boot keeps the elements out and grease in, extending the duty cycle of the ball joint when used within its limits. 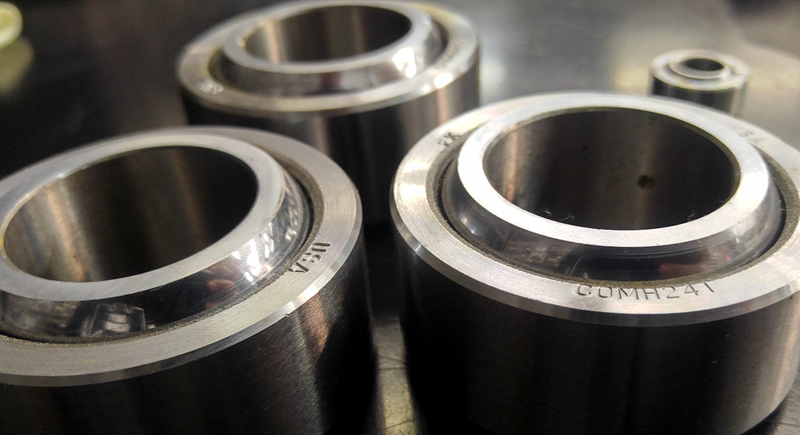 Conversely to the ball joint's relaxed operating tolerances, uniballs, or spherical bearings, are more precise, both in manufacture and in service, and are commonly used in industrial environments. They were only recently introduced into the automotive market, specifically in off road applications, where their robust and dependable qualities are absolute requirements. The open design of the uniball leaves it exposed to the environment however, and elements such as road salt, moisture, sand and other debris can quickly deteriorate it. It's difficult to recommend one over the other without having a thorough understanding of how either of these will actually be used and how much abuse they will receive. In most off road racing environments, one would quickly choose the uniball, but under those conditions the uniball is regularly replaced, so they only need to last a few thousand miles, as full tear downs with close inspections are regularly performed. Ball joints, on the other hand, with their semi-sealed construction are able to withstand harsh road elements by shielding the critical parts with grease and boots, thus little to no maintenance is required and are more apt for daily drivers with occasional off road use. 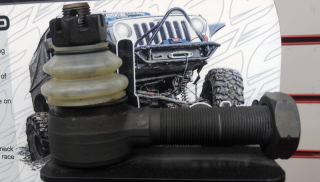 That is not to say that a uniball would be inadequate on a daily driver or a ball joint on an off road racer, but again, one would have to understand the limitations of the product being used and not exceed them while also adhering to some sort of maintenance regimen. Ultimately, the end user needs to properly assess their particular situation and choose wisely. Off Road Warehouse's trusted advisers can help, provided they are given the most accurate information. 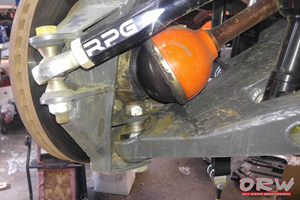 And at ORW, we are also able to check ball joints or any of your steering or suspension components for wear or other discrepancies.